your company to your customers. At D.F Williams we offer a full range of Contract Cleaning Services. These can be tailored to each client’s needs. All of our staff take pride in their job -completing cleaning schedules to the highest standards. We are committed to monitoring each aspect of our service, ensuring your satisfaction and continuous improvement. Constant review and communication ensures that we understand your business’s unique cleaning requirements. The quality of our work is frequently monitored by D.F. Williams Management. This allows us to consistently complete the cleaning work to a very high standard. from the owner. We offer a full Facility Management Service allowing you to concentrate on running your business. Our Facility Management Service offers you piece of mind that all the cleaning and maintenance is taken care of. Everything from a squeaky door to the bin in your office will be dealt with by our team of trained staff. Each client will have their own dedicated Manager who will be responsible for your cleaning and maintenance contracts. We constantly review the procedures and services we carry out and always strive to offer better alternatives or cost savings to the client so that the management of the facilities are still run to your own high standards. covering all aspects of Health and Safety within the workplace. 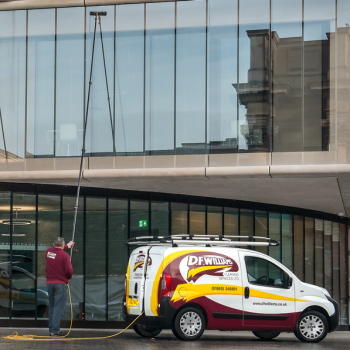 D.F Williams started in Oxford following the success of their window cleaning operation. Things have changed slightly since the early days but the ethos hasn’t. We still offer the same customer service only now with better equipment! We offer window cleaning services to offices, shops, colleges and large residential houses using both traditional cleaning methods and a filtered water ‘reach and wash’ system to give a bacteria and streak free clean. Our staff are fully trained with the relevant training to clean windows that a simple ladder and brush will not reach. We are based in Oxford and clean windows all across Oxfordshire. Shop fronts are a large part of our business. Often shop fronts and doorways are misused by the public, therefore this is an important area to include. Warehouse, production and factory areas require a different approach and equipment than other environments. We offer a full range of industrial cleaning services equipped with the best machines for the job. As a Company we always strive to offer the best service and reliable staff to keep your business clean and provide you with a cost effective and efficient cleaning service. assistance. This allows a fast and efficient service to our customers. Our staff are fully trained and compliant with Health and Safety policies. We provide staff with all the necessary equipment to complete the work to the highest standard. As part of our Industrial Cleaning, we offer a more specialised service. This includes the cleaning of laboratories, clean rooms, kitchen deep cleans, computer rooms and equipment, plant rooms, preoccupation cleans and any other aspect of individual specialist cleaning requirements. Carpets -Deep cleaning of soiled carpets. Graffiti -One of our main specialties is the removal of graffiti from buildings and machinery. Plant Rooms -Specialist steam cleaning. Please contact us with your requirements for a no obligation site visit and quote. and we comply with current legislation at all times. Drawing on the knowledge gathered over 65 years in the cleaning industry, D.F Williams have adopted a partnership approach for the overall running of the business. 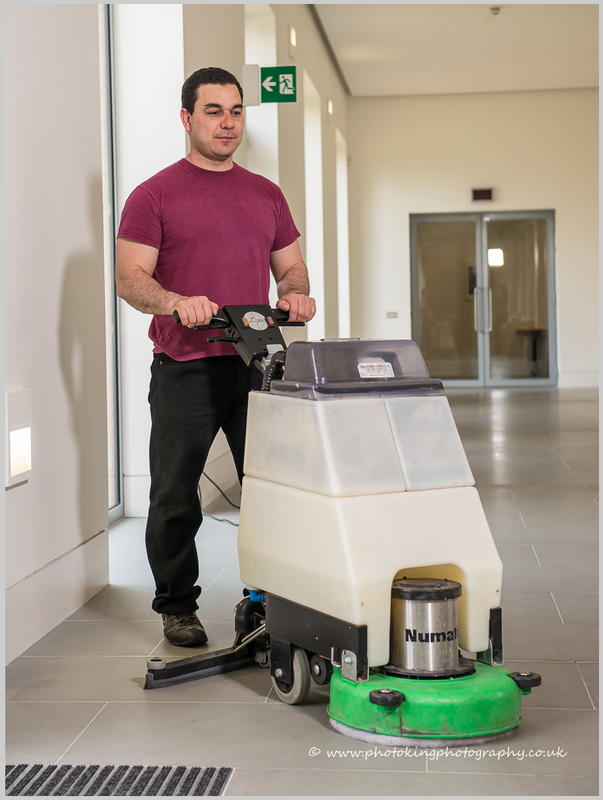 This includes partnership with customers, partnership with employees and a partnership for the development and growth of D.F Williams Cleaning Services Ltd.
"Preferred suppliers for cleaning services to the University of Oxford"